We will gather in our Sanctuary at 12:30-1:00 pm for the Ash Wednesday Service. We will hear scripture, offer prayers and receive the imposition of Ashes as we remember that we are not God. It is from dust we come and to dust we shall return. 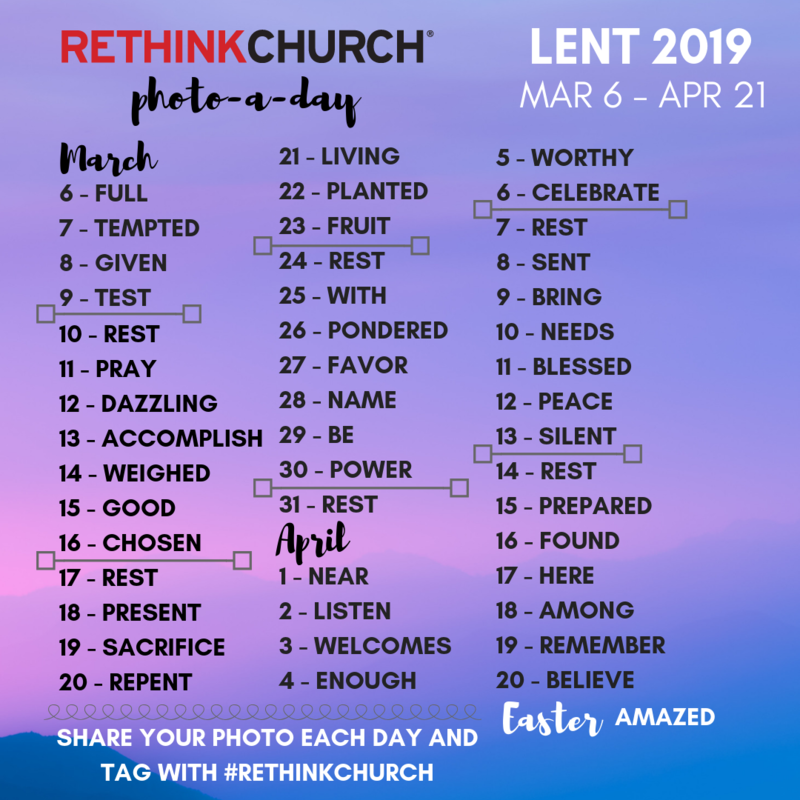 You are also invited to join us in the Lenten Practice of noticing the holy and the ordinary of our daily lives. Follow along with the Photo-A-Day prompts on our Facebook page.